Video Archives · Stop the Cap! Verizon’s not-quite-ready-for-prime-time mobile 5G network hurriedly held a public launch event April 3rd using a small network of 5G millimeter wave small cells installed in downtown Chicago and Minneapolis, despite employee admissions there were significant issues with the network’s reliability, coverage, and stability. Driving Verizon was a chance to win bragging rights by claiming ownership of the world’s first, publicly available, mobile 5G network. In a company-produced video intended for employees, it quickly becomes apparent Verizon was preoccupied by South Korea’s own race to launch mobile 5G, and daily meetings at Verizon’s offices in New Jersey hinted at pressure to announce Verizon’s own 5G launch day as soon as possible. It was also clearly a priority for Verizon’s new CEO, Hans Vestberg. But was the network ready for launch and fit for purpose? As of April 1, there were still coverage, latency, and speed issues. Garima Garg, from Verizon’s Network Performance, said the 5G network was “very unstable” early in the first week of April. 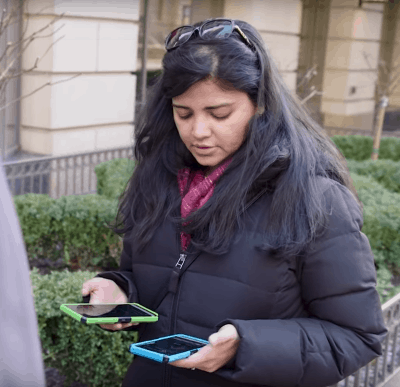 Attempts to test every smart cell in Chicago were unsuccessful. Garg said the team couldn’t connect to several of them. Besides beating South Korea, Verizon’s goal was to launch 5G with speeds better than its 4G LTE network and AT&T’s enhanced 4G LTE service it calls “5Ge.” To test network performance, Verizon employees ran countless speed tests, often just across the street from light pole-mounted smart cells around 100 feet away. Just a day or so from launch, Verizon testers were still trying to address network problems, including packet loss and delayed acknowledgments on the TCP side of the uplink, which ‘really hurt speed.’ Verizon claims it resolved some of these problems in the final hours before launch with a custom software build. Verizon’s efforts almost came to naught, because SK Telecom, South Korea’s largest wireless operator, suddenly surprised the public with a star-studded “5G Launching Showcase” the morning of the 3rd. SK Telecom technically beat Verizon’s attempt to be first to launch, but Verizon pointed out only a handful of celebrities, social media influencers and so-called “brand promoters” were given smartphones capable of connecting to SK Telecom’s 5G network. Verizon’s spin was that South Korea’s launch was effectively a publicity stunt, as no consumer could walk into a store and buy 5G capable devices on that date. Verizon’s launch, however, would be different. Any customer could immediately walk into a Verizon store in the two launch cities and walk out with a smartphone capable of connecting to 5G on the first day the network was switched on. Just in case SK Telecom had any other surprises planned, Verizon decided to move up its official launch date. On the morning of April 3, Vestberg appeared in a friendly and exclusive CNBC interview announcing the launch of Verizon’s 5G mobile network. By the following day, tech reporters in Chicago gave the network its first thorough test, and found many of the same issues that had concerned Verizon engineers earlier that week. 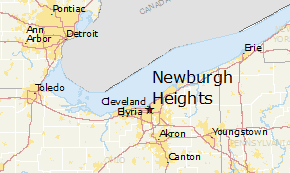 Not only was Verizon’s 5G service area miniscule, several small cells appeared not to be working at all (or at least were not available for connections), and after a day using Verizon’s 5G network, the service was deemed “unreliable” by PC. Reporters used Moto Z3 phones with the new 5G Moto Mod back panel, which snaps on the back of the phone and delivers 5G connectivity to the Z3. The Mod concept is neither an elegant or inexpensive solution, turning the Z3 into a bulky and heavy handset. The Moto Mod also has its own battery, and not a high-capacity one at that. Testers reported it was dead after five hours of significant use. It cannot be recharged by the phone either. At some locations, reporters were able to verify Verizon’s 5G network did deliver a significant improvement in speed — up to 600 Mbps peaks on small cells that likely had few, if any other customers connected at the time. But the densest parts of Chicago’s downtown were already well-served by Verizon’s 4G LTE network, which capably peaked at 400 Mbps. Verizon’s mobile 5G network relies on millimeter wave frequencies, which are very short-range and sensitive to solid objects, which can block or degrade the signal. Despite Verizon’s earlier claim that it saw better than anticipated range and performance from the company’s millimeter wave fixed wireless service running in a few other cities, real world testing showed the effective range of Verizon’s smart cells was less than expected for mobile users. Verizon claimed up to 800 feet of range from each 5G small cell, but testing found that claim wildly optimistic. Real world testing also revealed the expected shortcomings of mobile 5G — it can be downright terrible indoors. Of course, it is early days for Verizon’s 5G and network and software improvements are likely to significantly improve service. But Verizon’s experience strengthens the theory that small cells are likely to thrive only in dense population areas where there is already a high traffic demand. It seems unlikely that Verizon’s 5G network will make economic sense to deploy in outer suburbs and rural areas. It may not even play well in the suburbs. Google’s fiber cables were buried at little as two inches deep in Louisville. Many have resurfaced, as this reporter from WDRB-TV showed in a recent report. Google Fiber will pay $3.84 million to the city of Louisville to restore roads and damaged public rights-of-way as Google Fiber exits the Louisville market. “Infrastructure in neighborhoods and public properties affected by Google Fiber will look as good or better than they did before the company began construction, just as our franchise agreement stipulated,” said Grace Simrall, the city’s chief of civic innovation & technology. In addition, Google Fiber is making a $150,000 cash donation to the Community Foundation of Louisville’s Digital Inclusion Fund to support the community’s digital inclusion efforts, which include refurbishing used computers for low-income individuals and the enrollment of public housing residents in low-cost internet access through other companies providing service in Louisville. The company is also planning to make a donation of 275 refurbished computers to the Louisville Metro Housing Authority. Last summer, Google Fiber discovered its newest underground installation method of “shallow trenching” — laying optical fiber cable just two inches below ground along the sides of roadways and covered with sealant — was ineffective. In short order, the sealant rose above the surface, often exposing fiber cables to damage from the freeze-thaw cycle, road maintenance crews, plows, or just ordinary traffic. An effort to remove and replace the sealant with ordinary asphalt and re-bury the cables appeared to fail as well. That left Google Fiber with a choice between replacing all of its fiber infrastructure, or deciding to give up and leave. It announced the latter in February, and Google Fiber was officially switched off at 11:59pm on April 15. Simrall suggests it isn’t all bad news. 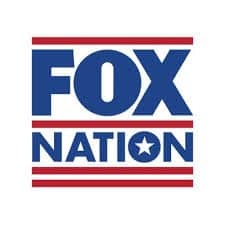 The CEO of Fox News told Variety in an exclusive story that 85% of consumers who sign up for a free one-week trial of Fox Nation, the company’s new paid streaming video service, convert to a paid subscription by the end of the trial. The streaming service Fox News launched last fall claims to offer thousands of hours of video, including live shows, documentaries, short-form video, and commentaries designed to appeal to the average Fox News viewing fan. Current Fox News personalities are also on hand with additional material. Sean Hannity, the network’s biggest star, is contributing the opening monologue from his weekday radio show as well as other features. The service is priced at $5.99 a month or $64.99 annually. One of Frontier Communication’s largest legacy service areas is suffering from some of the same bad service reported by rural communities in states like California, Minnesota, and Florida. 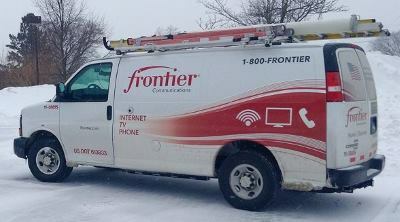 Frontier landline customer Andy Melnyk says the problems with his phone service began six weeks ago. 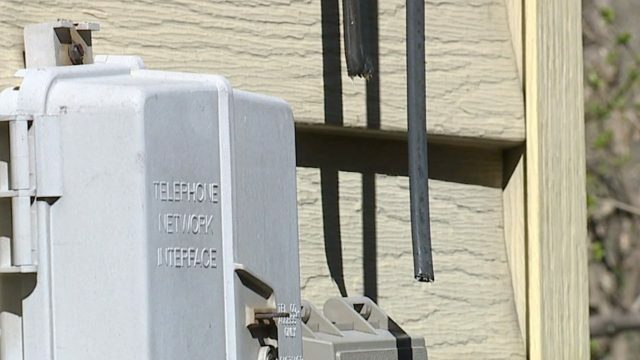 The line frequently goes dead with no dial tone, and customers calling the Rochester family get nothing but a busy signal. “I thought okay, they fixed it, let it go and then it happened again,” Melnyk reports. Despite the service problems, Frontier has not offered any bill credits, or a satisfactory explanation for the problem. The Melnyk family is not alone. Other Frontier customers in the neighborhood are dealing with the same issue. It took News10NBC to get involved to get a statement from Frontier, claiming the problem is a wet copper cable. Maintaining deteriorating copper wire infrastructure that other phone companies discarded years ago in favor of fiber optics can be complex and time-consuming. But other companies have found upgrading to fiber has given their networks more reliability and happier customers. But Frontier has shown no signs of launching fiber upgrades for customers in their legacy copper wire service areas.